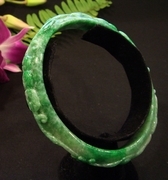 Rare carved sculpture, exquisite solid jade bangles, glowing rings and elegant necklaces -- all express the ancient power and mystery of jade. 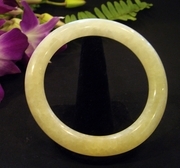 We also have the most rare and precious jade of all -- white nephrite -- found only in the Hetian region of China. 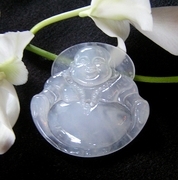 Please visit our new section, Certified Jade. 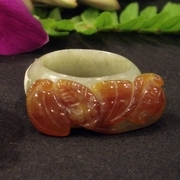 All items in this section are certified natural, genuine jade by an organization supported by the Government of China. When people were new on earth, Spirit reached out with an amazing gift: grasping the rainbow, then forging it into an axe of jade, and casting it onto the earth. People discovered the axe, understood its origin, and called jade "The Stone of Heaven." 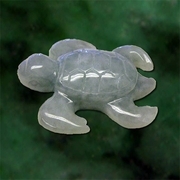 Jade has been in use as a tool, a weapon and a decoration for at least 5000 years. 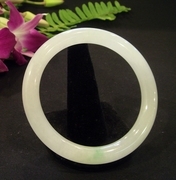 Jade is a pure, natural rock, harder than any other natural substance, second only to diamonds.